My name is Thomas Rader, owner of Island Run Realty Inc. I originally came to Pine Island from Michigan to visit my parents who had been living here since the early 70's. I was in the residential building business up there. 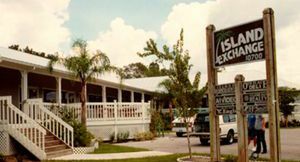 I loved it here and in 1980 moved down and went right into the Real Estate business. I've been in Real Estate in Lee County for 19 years and now handle commercial as well as residential properties. 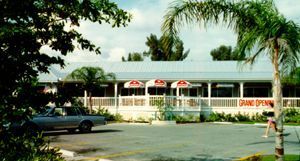 Our company has been involved with the development of many island properties including Island Exchange Mall, many island restaurants as well as other land development and subdividing. We at Island Run Realty Inc. have been helping dreams come true for almost 20 years. Many of our clients have expressed this sentiment after their purchases. There's a dream to own a little portion of our island paradise. Our goal is to supply personal service to all our clients. We make many long term friends through started with our Real Estate sales relationship. We strive for customer satisfaction and we go the added distance to help dreams come true.